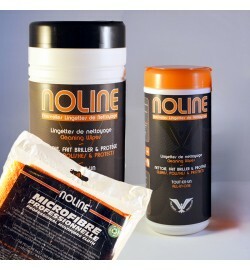 The NOLINE80 Kit is very usefull as an automotive cleaning and is always usefull in your garage. The NOLINE30 Kit is perfect for a domestic use, you can easily store it under your sink. It can also be easily carried by car or motorcycle.